More and more homeowners these days are opting for contemporary styled kitchens for a myriad of different reasons. Firstly, their minimalist styles are far easier to keep clean than standard kitchens, secondly, due to their rectilinear formation, they are better suited to fitting into smaller spaces and lastly, resale value seems to be higher, as this style appears to be a more popular choice among home buyers. 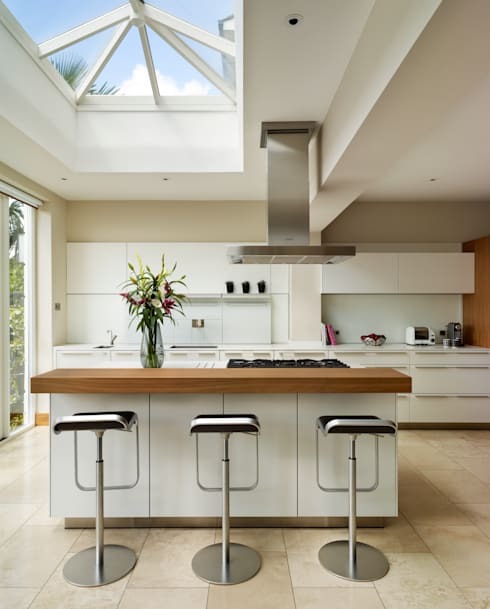 When choosing a contemporary fit out for your kitchen, what style do you choose? It seems a google search may not yield satisfactory results, nor, will asking your interior designer, if they don’t know your tastes. Today, we are presenting an ideabook of contemporary kitchen inspiration to help you make a choice. A popular choice for those with a little more room, is a kitchen with an island bench. Great for additional storage and food preparation space, this style of kitchen is for those dedicated to the culinary arts. Moreover, if you love entertaining and cooking in front of your guests, you can have them linger in front of you with a glass of wine, while you show off your impressive cutting skills! For some, this scene may look familiar. A kitchen that is long in length, leaving little room to move. Just because space is at a premium, doesn’t mean you need to sacrifice on all the mod-cons of a new kitchen; you just need to be a little wiser in your choices. Bulky appliances that jut out, or unnecessary bench top electrical equipment, may just end up in the way and cause you grief. 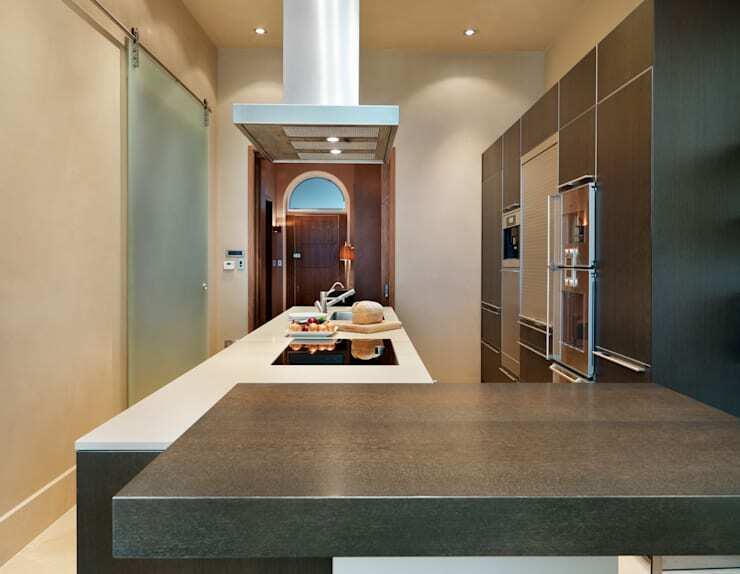 If you are not well versed in space saving solutions, it would be advisable to consult a specialist in kitchen design to ensure a brilliant final result. High gloss, stainless steel and birch wood are all mixed in together to form this brilliant example of contemporary kitchen design. We love how you are no longer limited to where you can place your rangehood—the availability of the floating variety have allowed our creative license to run a little freer. Other than being a practical and functional choice, if you are a true devotee of minimalism, you will want to ensure the clean lines of your kitchen remain expansive and unbroken. Apartment life doesn’t have to be limiting just because the available square metres are. 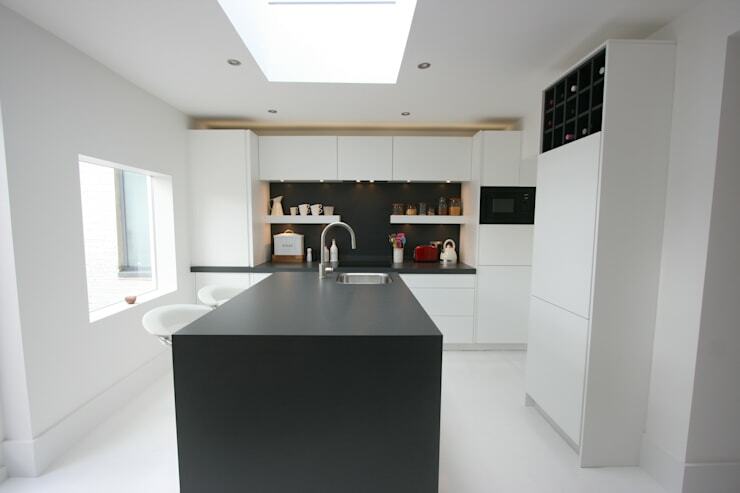 This is the perfect example of how a square room can be perfectly suited to a well organised and well designed kitchen. Whilst you may not be able to house hoards of people for a dinner party, you can sure your personal dining experience, be it on the bar stools or standing at the window, will be intimate and pleasurable. We love how the designers opted for a bold statement for the island bench—it breaks up what could have been a sterile and banal environment. 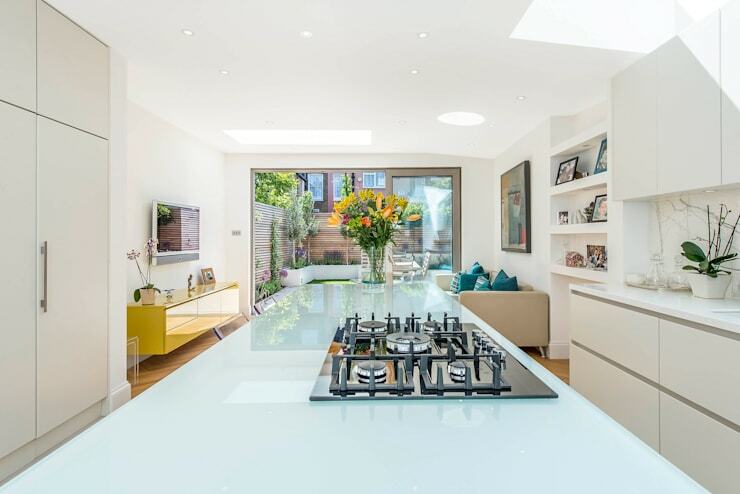 Last, but definitely not least, is this beautiful kitchen space that connects directly with the outdoor area. The frosted glass bench top is a wonderful choice, it is both easy to clean and aesthetically pleasing. Showing up far less dents, scratches and smears than stainless steel, spills and marks are easily wiped up and never seen again. You can also see how the available space of a long room has been effectively used; there is a small sitting section at the rear, where you can relax and unwind after you have brewed yourself a cup of tea. What do you think of modern kitchen design? Would you implement any of these designs into your home?